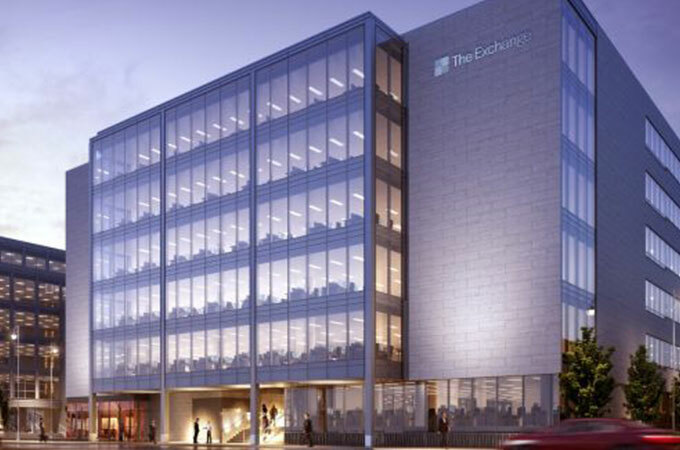 The Exchange Building, situated in the centre of Dublin’s Financial Business District is a LEED Gold standard energy efficiency building. We used Schuco FW50+SG on the curtain wall screens with frameless shuffle glazing on the internal atrium screens. We completed the pitched atrium roof using Schuco FW50+ and FW50+SG.